President Trump has assented into law the Substance Use-Disorder Prevention that Promotes Opioid Recovery and Treatment (SUPPORT) for Patients and Communities Act. 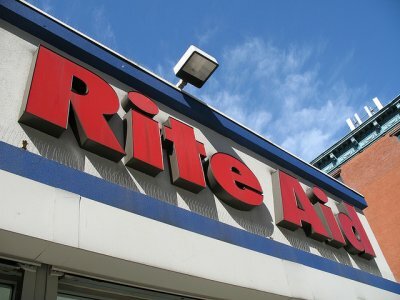 Representative of the Rite Aid Corporation (NYSE:RAD) invited to the White House during the signing in of the bill praised the president for his efforts to quelling the effects of opioid overdose. The new law was a bipartisan bill drafted by Ohio senators as part of the measures to mitigate Opioid overdose menace. The Ohio Alliance for Innovation in Population Health (OAIPH) conducted a research to establish the effects of Opioid overdose in the seven years the epidemic has stricken Ohio. The research’s findings were saddening; Ohio had lost over half a million years in life expectancy in under a decade. Through the newly signed bill, pharmacists across the country shall be tasked with providing Medication Therapy Management (MTM) and counseling to at-risk seniors through Medicare Part D.
Konrad went ahead to praise all the parties that chipped in drafting the bill singling out a number of Ohio Senators and U.S. Surgeon General Jerome Adams. Rite Aid has been in the forefront of the war against opioid overdose. The company has been working with government agencies and community awareness groups to combat the epidemic. Rite Aid has designed a medication, naloxone- that is meant to neutralize the effects of Opioid overdose available across all its pharmacies. The company also offers DisposeRx packets that are meant for safe disposing off of unused drugs. Besides, Rite aid is deploying one hundred medication Disposal program in its specific pharmacies. The new law advances Rite Aid pharmacies new tools to continue its righteous fight against the opioid overdoes. Now the company can do more with the government’s backing.